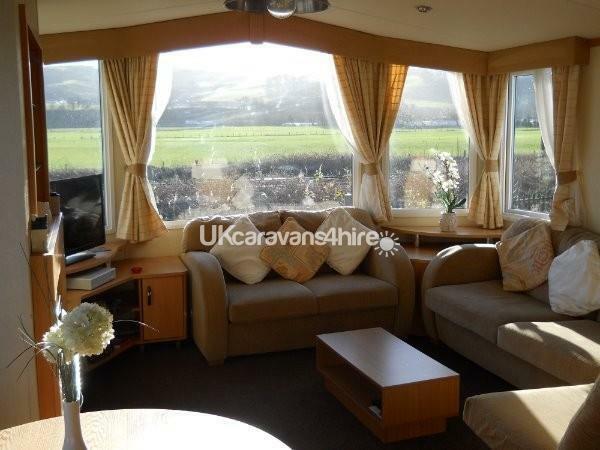 Our caravan is only available Saturday to Saturday during the summer holidays. 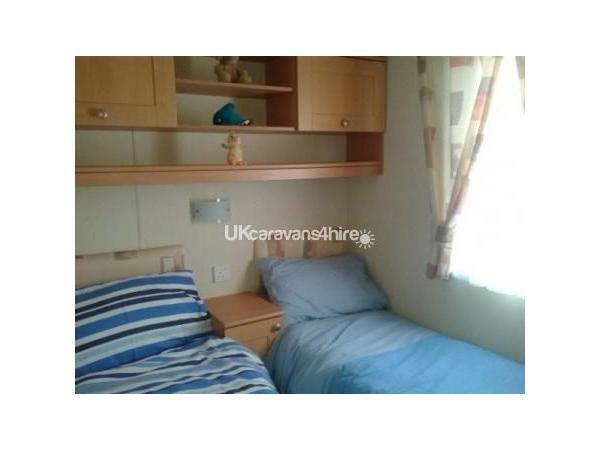 Our Swift Moselle caravan is situated in a quiet area of the park with adjacent car parking space. The caravan is close to the railway but we don't find this a problem as the trains are gone practically before you know it! 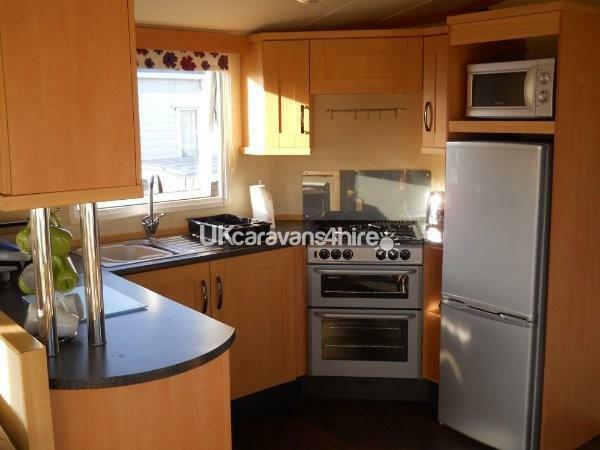 The caravan has all the facilities you would require for a self-catering holiday including fully fitted kitchen with gas cooker and hob, fridge/freezer, microwave, toaster, George foreman grill and kettle. All cutlery and crockery are supplied. The living room has a 32" LCD free-view TV with DVD player and there is also a Sky box with free-sat. 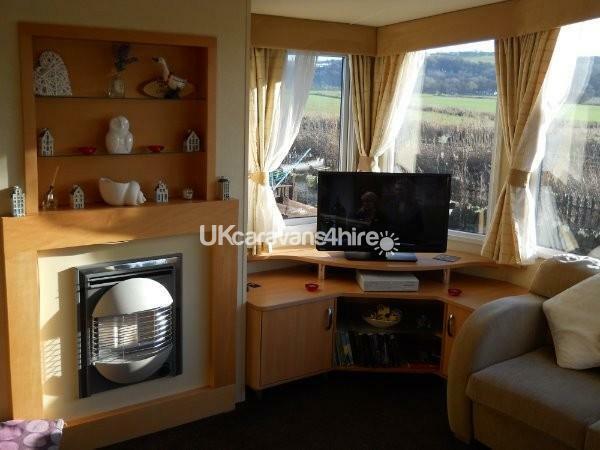 The caravan is centrally heated and has double glazing, there is also a gas fire. 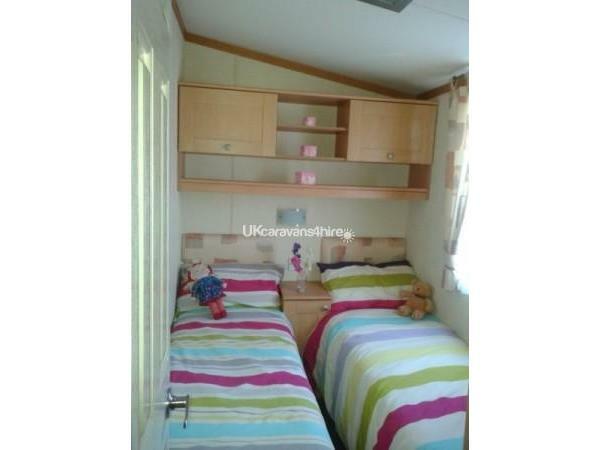 The caravan has three bedrooms, one double and two twins. The maximum occupancy we accept is 6 persons. All bedding is supplied. 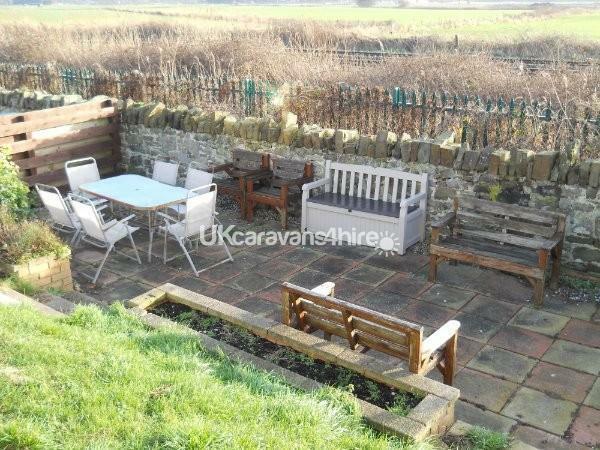 There is a garden and patio area looking out over the fields and hills. The path to the garden area is quite steep and may not be suitable for children or people with poor mobility. Presthaven Sands has many facilities including Club, pub/restaurant, sport facilities, entertainment, indoor pool and lazy river. To access all the facilities additional payments and membership are necessary which can be paid for locally on arrival. 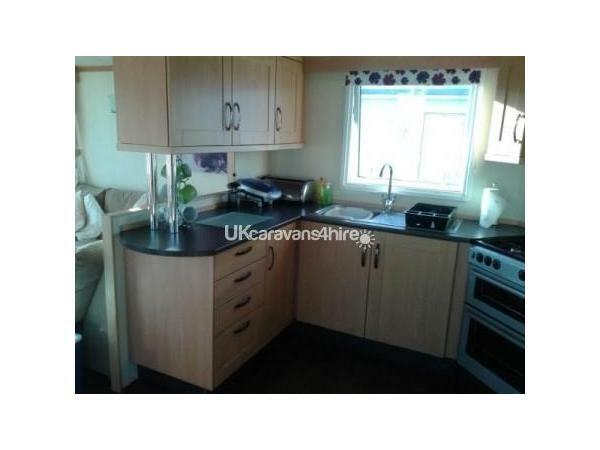 To secure your booking a £50 non-returnable deposit is required and a refundable £50 damage deposit, returned once caravan is checked after your holiday. 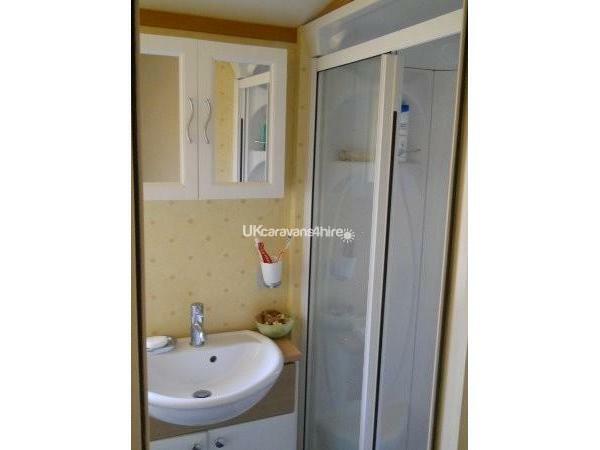 Full payment is required 4 weeks before your holiday. Refunds are given after full payment is received on a sliding scale, details will be issued once full payment is received or on request. 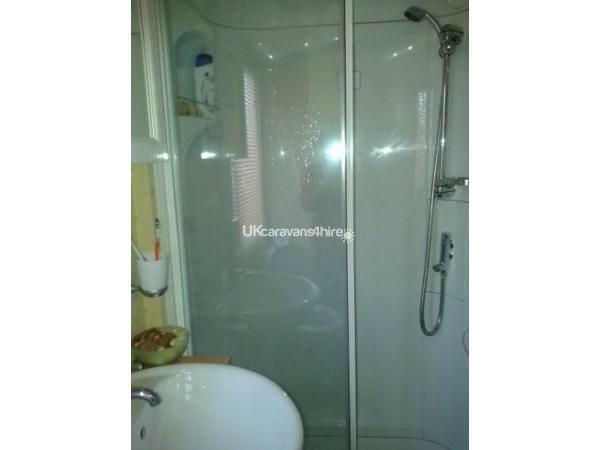 The caravan has an asset list to ensure you know what is supplied and where. This will be checked at the end of a hire period. 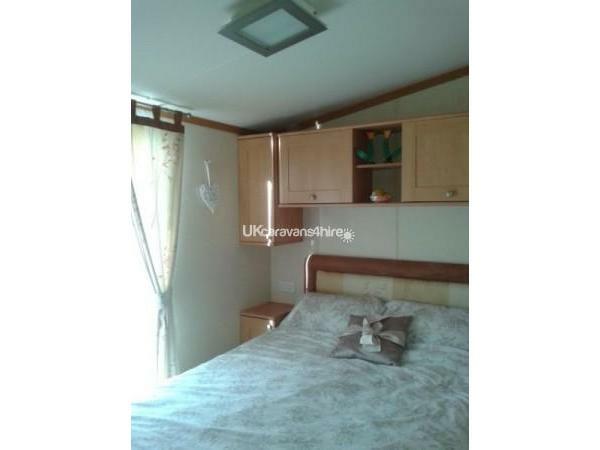 Please note our caravan is only available Saturday to Saturday during the summer period. 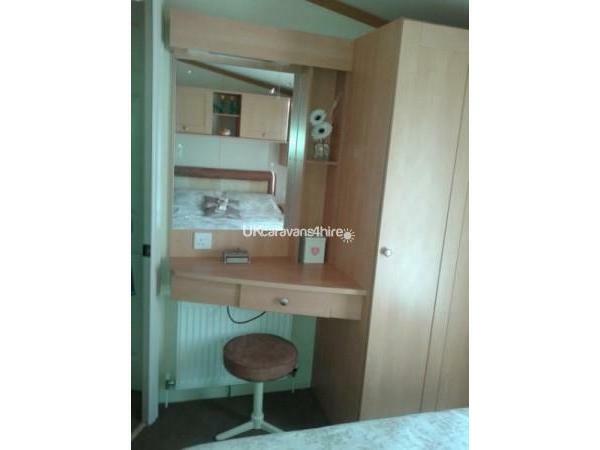 Please leave the caravan as you found it clean and tidy with all the bins emptied. We hope that, if you choose to stay with us, you have an enjoyable holiday but if you have any problems please do not hesitate to contact us.